September 14 is Holy Cross Day, the Feast of the Exaltation of the Holy Cross, the Triumph of the Cross. For Roman Catholics this feast takes precedence over the Sunday in Ordinary Time, for Anglicans it can be observed on the Sunday or on the next suitable weekday. 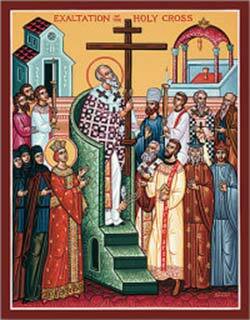 St Helena, discovered the true cross of Jesus 14 September 326 and had a basilica in Jerusalem built over the spot. This Church of the Holy Sepulchre was dedicated on 14 September 335. The Rule of St Benedict 41:6 changes the eating habits in the monastery on this date, hence this starts what is called “monastic Lent”. From the Ides of September until the beginning of Lent let them always take their dinner at the ninth hour. From now until Easter St Benedict has three nocturns of psalms and readings at Matins. The Episcopal Church’s Book of Common Prayer (page 18) has “The Ember Days, traditionally observed on the Wednesdays, Fridays, and Saturdays after the First Sunday in Lent, the Day of Pentecost, Holy Cross Day, and December 13″. The mnemonic is “Lenty, Penty, Crucy, Lucy”. These days can be associated with changes in the seasons. I have in the past also tried to discover if there are connections with our Jewish roots. As in Benedict’s Rule, we too might change our pace. In the Southern Hemisphere we can take on some of the Spring practices that our Northern Hemisphere siblings attach to Lent. The Church of England provides a number of resource. Greeting. Some interesting thoughts Bosco. I am personally relieved we no longer have too many Lents – one is quite enough! I do however miss the devotions of Ember Days – rather sad that the Church appears to have lost them. As to your thought about ‘changing pace’ it would be good if serious consideration were to be given to our ‘up-side-down’ seasons. I have yet to read a healthy response to Easter in the Autumn, or even Christmas as the Summer solstice bakes us. Br G-M. Thanks, Br Graham-Michoel. There are quite a few images and ideas for Southern Hemisphere liturgy, including Lent, Easter, Christmas, in my (free) book Celebrating Eucharist. Blessings. Thank you Bosco – I had no idea these resources existed. I shall no doubt enjoy the links. I covered both possibilities this last weekend. I attended the vigil Mass at the local Roman Catholic church where the Exaltation of the Holy Cross was celebrated with great enthusiasm from Gregorian Chant to an almost Pentecostal handwaving and urging on. The story of Helena along with the miracle to prove it was told and the the central importance of the cross in its actuality and abiding significance laid out. Then on Sunday as a licensed Lay Reader in the Anglican Communion I preached on Peter and Jesus 77 times. I found myself speaking on agape/charity in forgiveness contrasted with Mosaic retributive justice which seems so proper, normal to us as humans and the near impossibility we can find ourselves in. 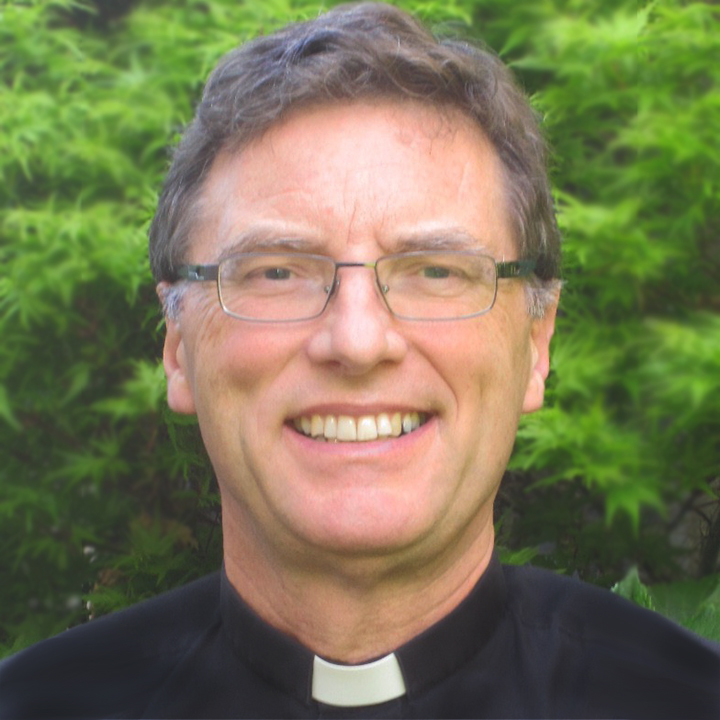 Here in Australia with the sexual abuse of young people so prominent particularly in catholic, Anglican and Salvatin army bodies that even jail terms do not lessen the anger for many, if not most. And then there is Iraq etc.. Another instance- the just announced death of Ian Paisley has led to a torrent of what might be called hate on web sites from Australian Catholics of Irish descent. But it was good to be reminded of Helena and her quest even if actually finding the true cross is doubtful at best. So often with us it is the quest and the meaning drawn forth. Your post also drew me back to skim through Cynewulf ans his”Elene” after how many years. For some Anglicans also Holy Cross Day takes precedence over Sundays in Ordinary Time. It does here in Canada, or at least it has since 1985. Thanks for the clarification, Tim. Blessings. In the Orthodox church, also, as soon as the Feast of the Exaltation of the Cross is finished, two extra prayers get added to Nocturns on weekdays, and three, rather than two sets of Psalms are read at Matins. The Monday after the Sunday after the Cross, the Gospel of Luke begins to be read (instead of Matthew, which is the after-Pentecost Gospel). That’s fascinating, thanks, Peter. Blessings.